The Huawei Mate 10 Pro is all set to join the edge-to-edge bezel-less display era, as seen in a leaked photo outed by Evan Blass. The phone has a large infinity display like screen which hints at an 18:9 aspect ratio. The screen on the Huawei Mate 10 Pro, seems to have curved edges, at least on the left as seen below. 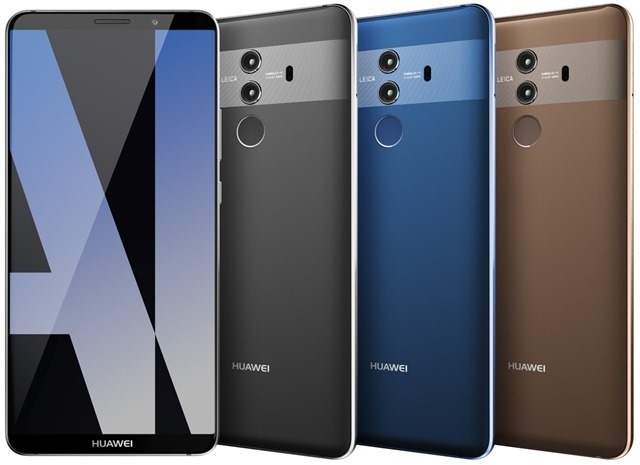 The front panel has an ear piece, a single camera on the top, while the bottom bezel has the Huawei logo. The back panel of the Huawei Mate 10 Pro is what makes it stand out. The phone has dual rear cameras from Leica, set in a vertical layout with a Dual LED Flash (seen below) and Laser autofocus. The text on the back panel reads SUMMILUX-H, 1:1.6/27 ASPH. A Google for the term is common in Leica camera lens for DSLRs. An Amazon listing for Leica 50mm f1/4 Summilux-M aspherical manual focus lens has a similar tag of 1:1.4/50 ASPH. Based on this logic, the Mate 10 Pro has a focal length of 27mm, an f/1.6 aperture and an aspherical lens. The cameras are placed in a band which is lighter shade of the back panel's colour. The device will be available in Black, Dark Blue and Brown colours.The fingerprint scanner is placed below the cameras, just outside the band. According to a previous leak by Blass on Venture Beat, the Huawei Mate 10 Pro has the codename Blanc, and sports a 5.99-inch IPS LCD display of 2880 x 1440p resolution. The device will be powered by Huawei's Kirin 970 processor, with 6GB of RAM and 64GB/128GB of storage. The phone has a 4000 mAh battery, but is still thin at 7.5mm. 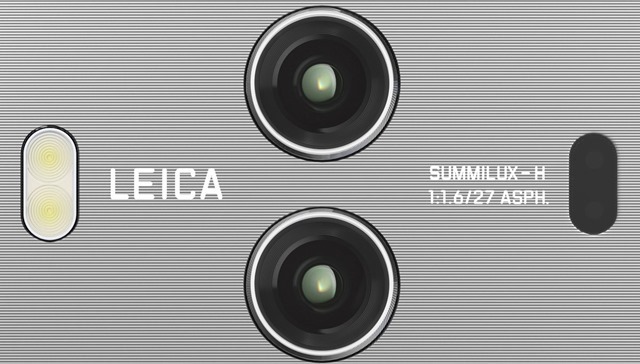 The dual cameras are 12 and 20 megapixels lenses with optical image stabilization. The Mate 10 Pro is IP68 water and dust resistant, and will run on Android 8.0 Oreo with EMUI 6.0. The phone is expected to ship in December. Huawei Mate 10, the slightly lesser variant, has the codename Alps, and will be unveiled this month. It has a regulat 16:9 aspect ratio display, which is also an IPS LCD panel, at 5.88 inches and 2560 x 1440 in resolution. The phone has the same chipset as the Blanc, but only has 4GB of RAM and 64GB of storage. It is also thicker at 8.23 mm.